Taking a swipe at Rahul, PM Modi referred to the Congress president's remarks on Rafale, and the hug and "winking" episodes. 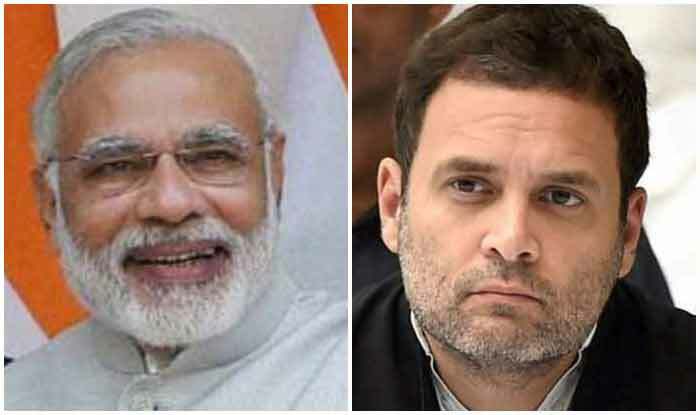 New Delhi: In his final speech in Lok Sabha ahead of general elections, Prime Minister Narendra Modi on Wednesday took a series of digs at the Congress and its chief Rahul Gandhi while giving a virtual report card of his government’s performance. Taking a swipe at Rahul, who was not present in the House at that time, PM Modi referred to the Congress president’s remarks on Rafale, and the hug and “winking” episodes, saying it was a new thing he witnessed as a first time member of Parliament. He also targeted the Congress for attacking the government over the Rafale fighter jet deal and said “many planes were being flown on the floor of this House”. PM Modi said that the the Congress president’s claim of an “earthquake” if he speaks on Rafale jet deal fell flat.